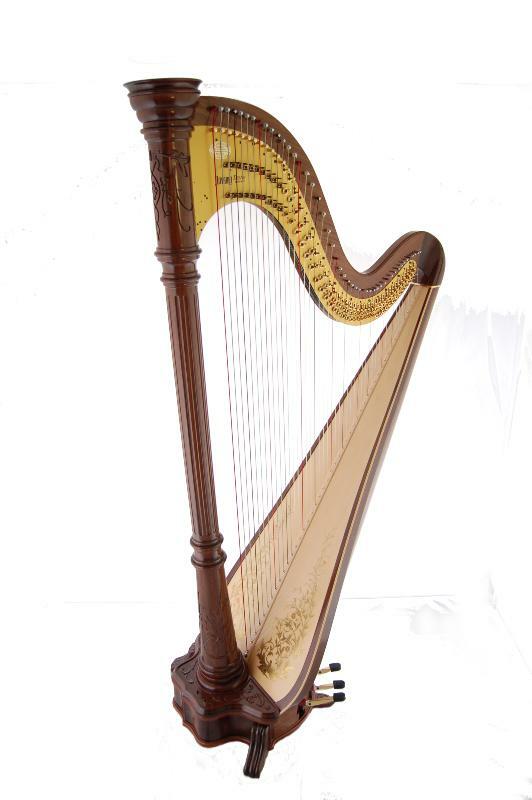 This was the first grand concert harp to be produced by Aoyama and its continued popularity bears testimony to the original musical concept. 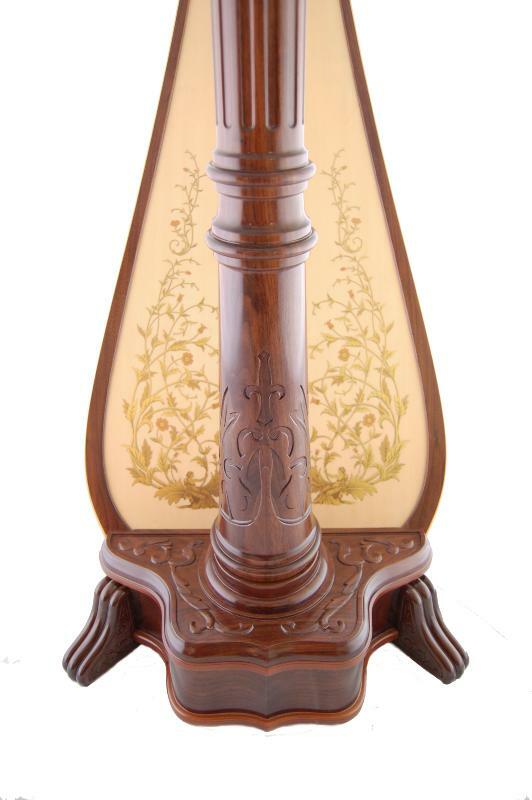 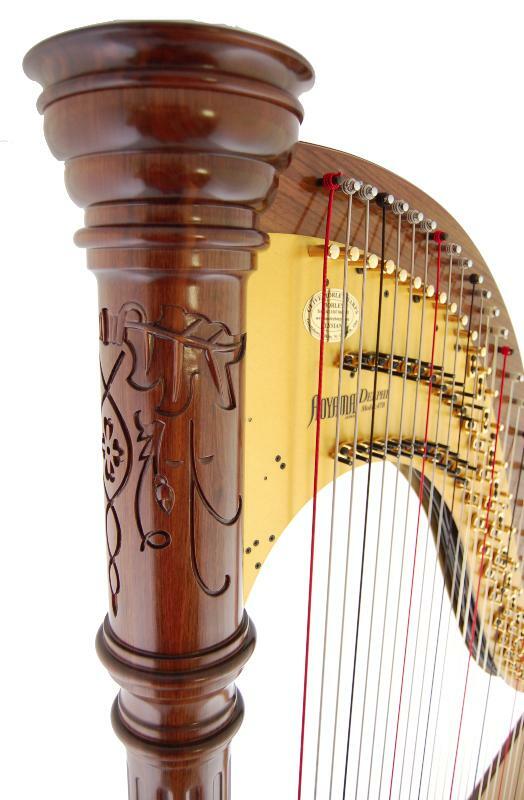 The classical line carving and arabesque decoration on the soundboard make a statement of elegance. 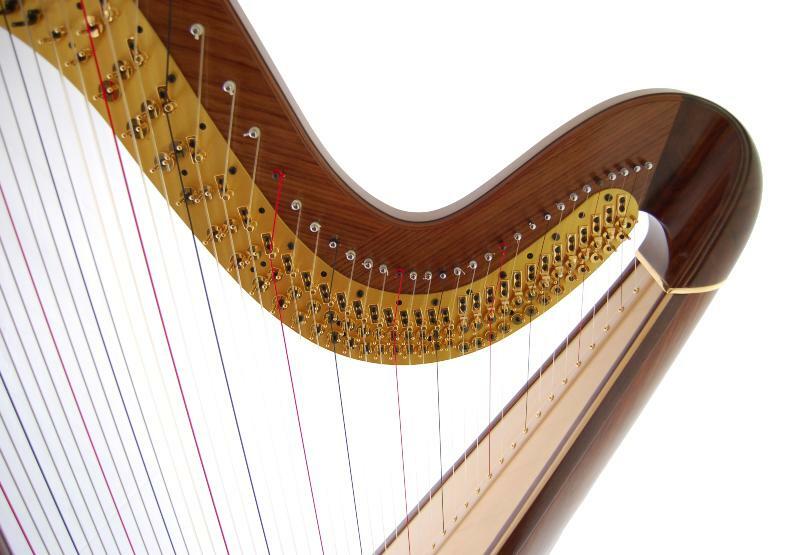 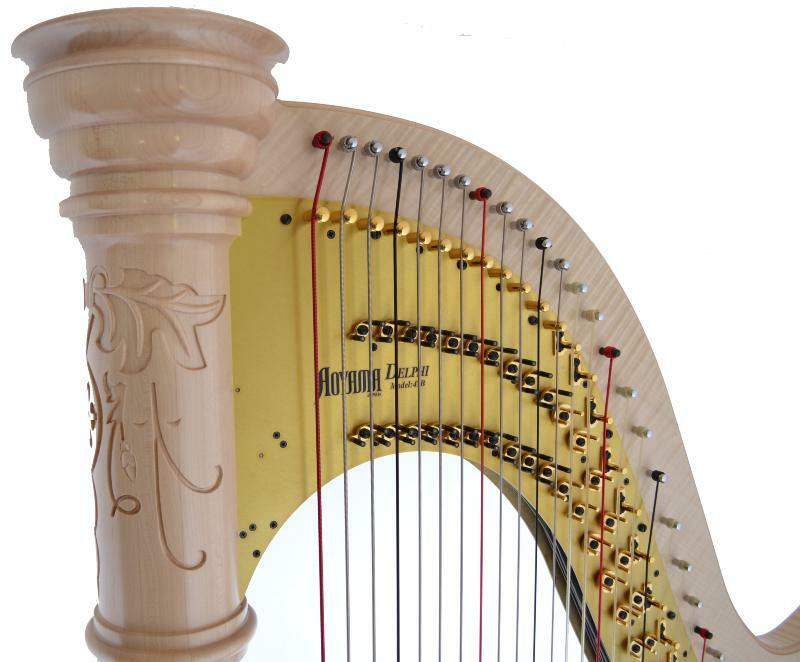 The bass bar is independent from the base of the harp, which permits a deeper and more resonant sound. 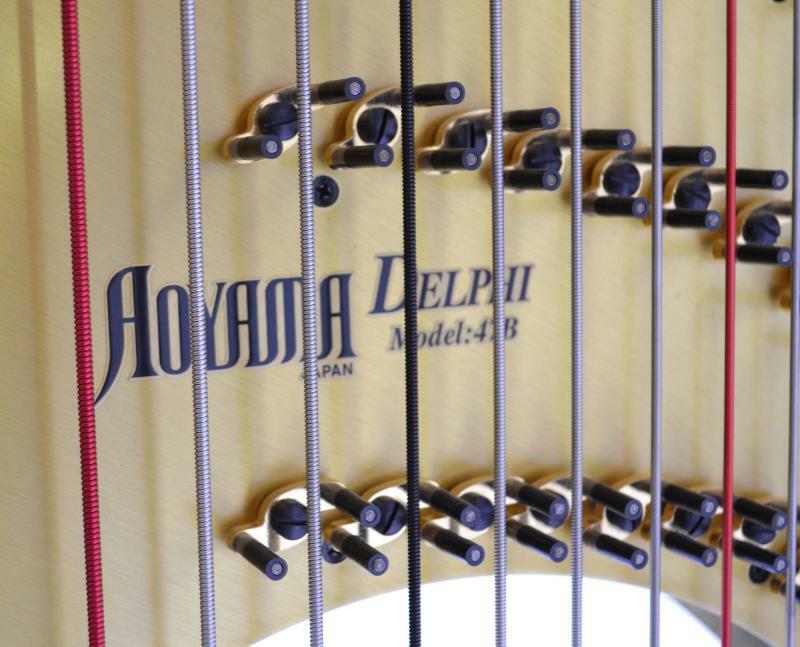 The Delphi 47 is also available with a light action as a special order. 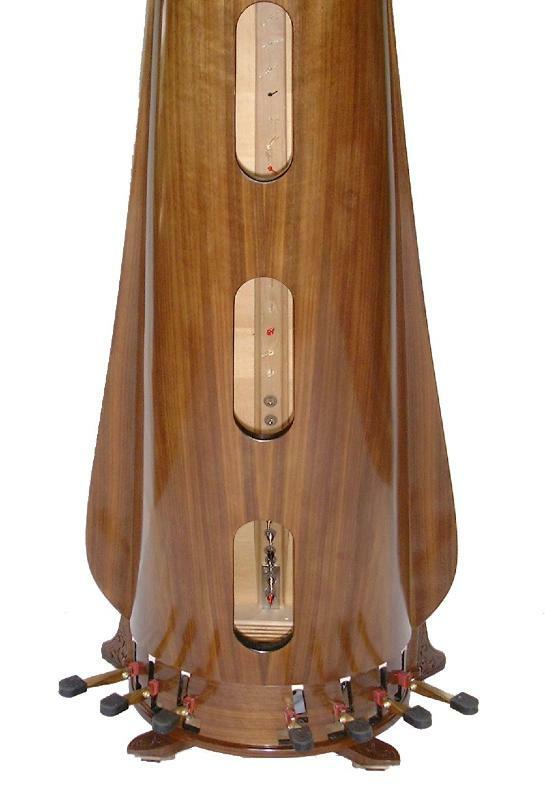 Please contact us for details and price.